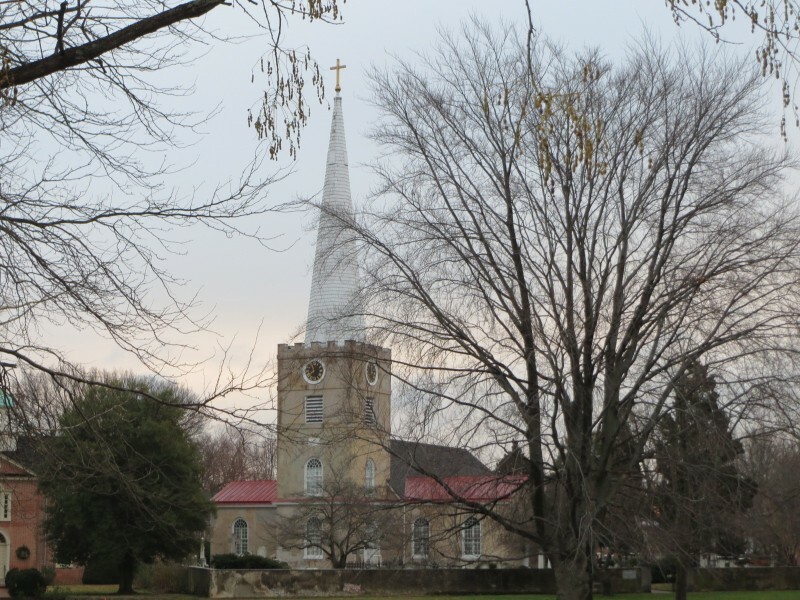 Immanuel Episcopal Church, on the Green in New Castle. The church was built of brick in 1706, and remained almost completely the same for 100 years. The walls were stuccoed in 1817, and the square tower, spire, and transepts were added in the 1820s. A fire in 1980 gutted the church, almost leading to its demolition, but the walls were saved and the interior was rebuilt.